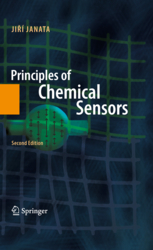 There are so many chemical sensor books on the market that adding one more would seem to be a rather unnecessary exercise. My aim has been to provide material that college or graduate level instructors could use when teaching this subject. The focus is on operating principles, rather than on description of specific sensor or even types of sensors. People who regularly referee sensor manuscripts and research proposals may also find it useful as a reference, for testing one or another dubious proposed sensing scheme. Unfortunately, some strange ideas often get through the review process and become a permanent part of the knowledge database. A "food-for-thought" section has been added at the end of each chapter, which is intended to provoke probing questions about such "schemes".